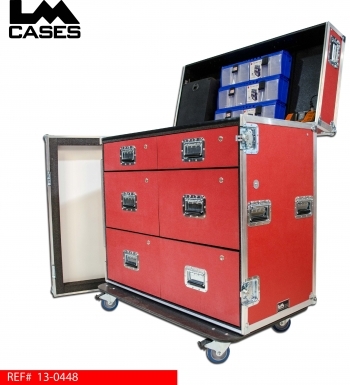 This case was designed for the University of Nebraska for use as a portable work bench. The case is designed to be used as a work station in the locker room when the team is home, and a portable solution for away games. 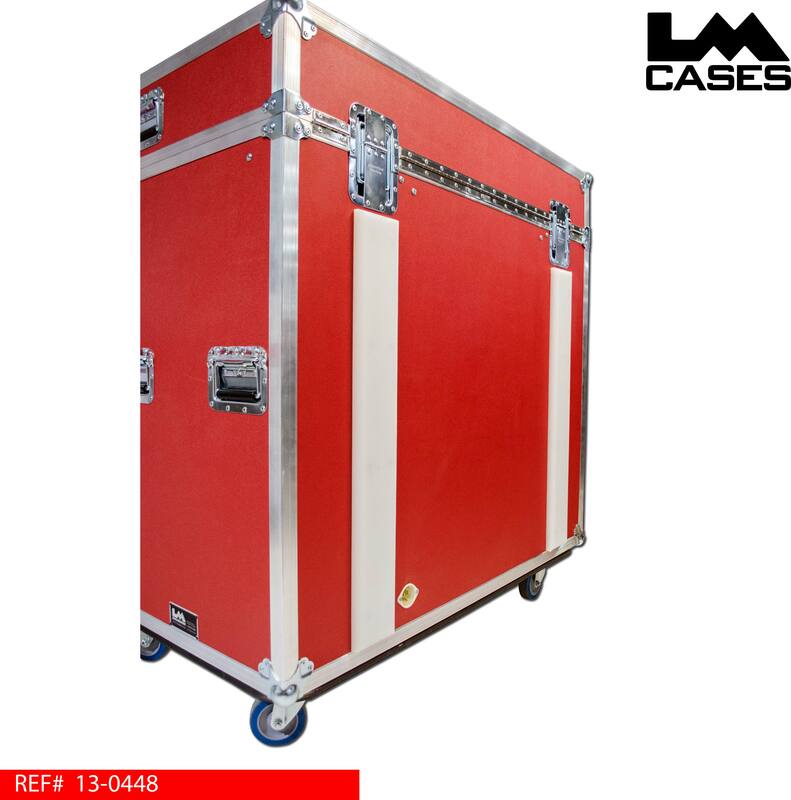 When the team is ready to travel, the lids can simply be closed and the case is ready to go. The top lid features 6 Tilt Lock bins creating 18 individual compartments for small items like washers and screws. 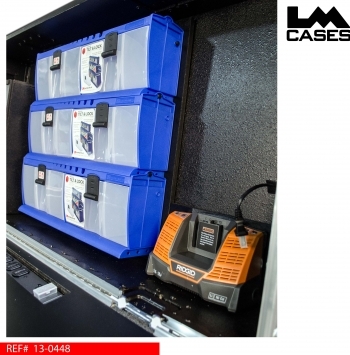 Also featured in the lid is storage for an included Rigid cordless drill and charger. All exposed surfaces in the lid are covered with black textured coating to create a durable wipable finish. The work surface of the case is coved with black laminate and features a 6 outlet recessed power strip. 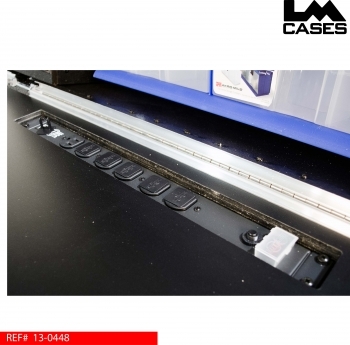 Below the work surface are 6 individually lockable drawers mounted on HD Accuride glides. 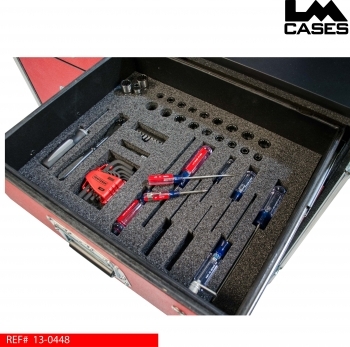 The top two drawers feature custom CNC cut foam inserts storing a complete set of Craftsman tools. 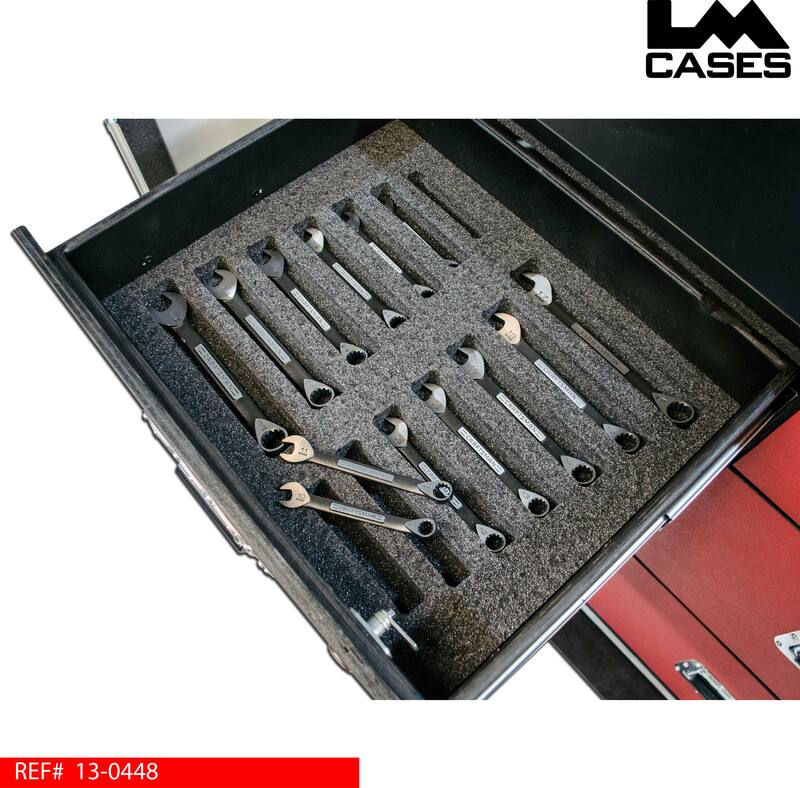 The bottom 4 drawers are open for general storage and covered with black texture coating. 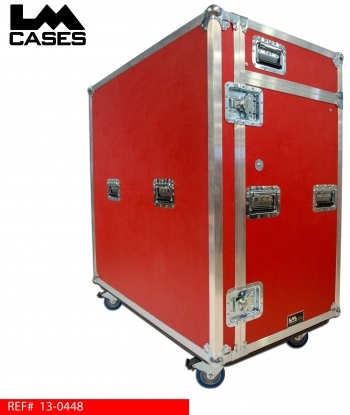 The front lid features a custom sized dry erase white board allowing a spot for notes and messages to the team. 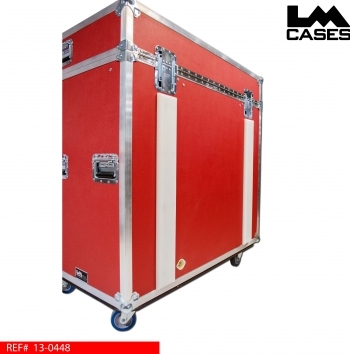 The exterior case is built out of 3/8" plywood laminated with red ABS plastic. The rear of the case features a recessed Hubbell outlet to power the case and 2 UHMW (Ultra High Molecular Weight) plastic runners allowing the case to be flipped on its back to fit in a bus bay. All tools and electronics were provided and installed by the LM Cases Custom Integration department. Special thanks to Jay Terry and the Nebraska staff!